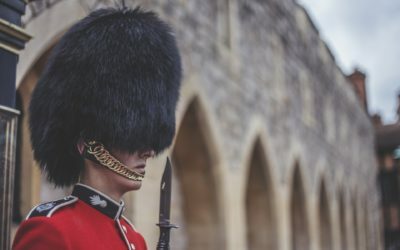 From the rich history of London to the lively high streets, get a taste of the capital of the UK with the added option of discovering the royal side of Britain with an excursion to Windsor Castle, the weekend home of the Queen of England. Be romantically swept away by the dazzling Paris, and tick those bucket list items of the Eiffel Tower and Louvre Museum off your list. Absorb the French countryside as you travel onwards to the French Rivera, spending time soaking up the Mediterranean life on the south coast of France. Make an optional visit to the medieval hill-town of St Paul de Vence before experiencing all the glitz, glam, and sparkle of the rich and famous with an included stop in Monaco and visit the Monte Carlo Casino before you head over to Italy. 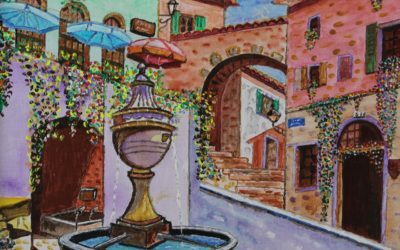 Explore the pretty Tuscan town of Florence and wrap it all up with two nights in Rome. So sign up for this unforgettable London, France, and Italy group tour…. how better could you really start your 2019? Register online and pay your $150 registration fee by 30 March 2018 and take $100USD off your total tour price. Use the promo code "EARLY BIRD LFI912" when enrolling online. See unmissable hot spots while discovering places less known on this unforgettable tour. 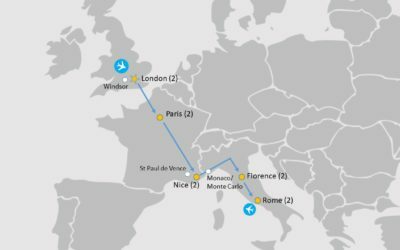 Starting in London, travel under the English channel to Paris before heading south to Nice. 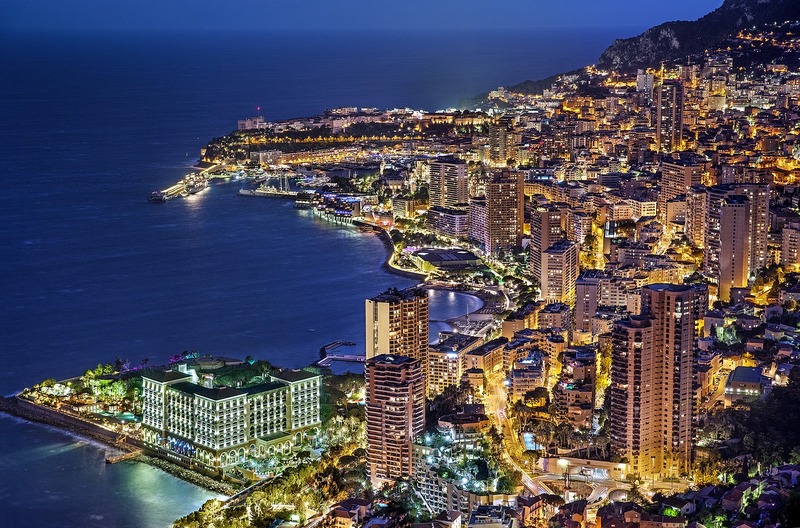 Discover Monaco and Monte Carlo on your way to Italy. Enjoy overnight stays in pretty Florence and the ancient city of Rome. This London, France, and Italy group tour includes daily full buffet breakfasts as well as four, 3-course dinners - all of upgraded quality. Depart USA and fly overnight to London, England. Arrive in London and be greeted at the airport by your Tour Manager. Once settled into your hotel, discover the capital of the UK on a Tour Manager led introduction walk of the city before sitting down to a delicious dinner in the evening… welcome to Europe! Get to know London more with an in-depth guided sightseeing tour of the city led by an esteemed Blue Badge guide. In the afternoon the choice is yours – discover the city in your own way with some free time or take up the optional excursion to Windsor Castle. Board the Eurostar, Paris bound, as you travel under the English Channel to the romantic capital of France. 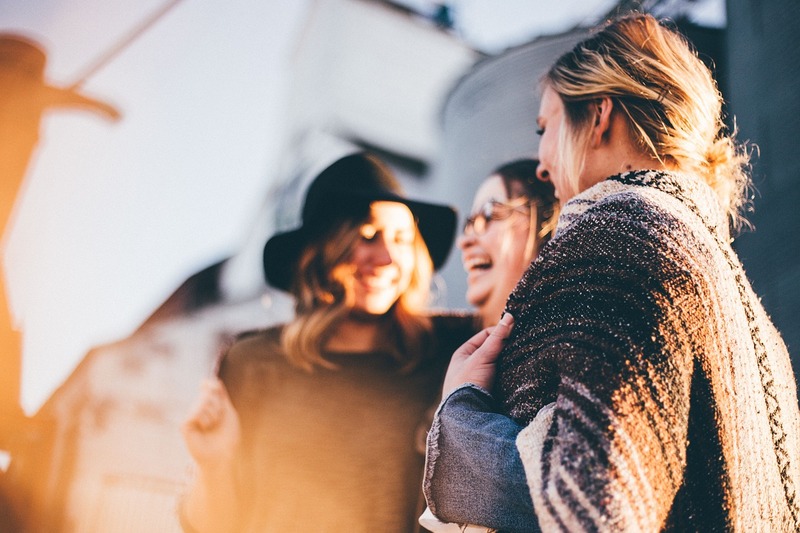 Learn all about the city on a guided sightseeing tour before devouring a delicious French style included dinner in the happening artistic area of Montmartre. Discover some of the Paris big names today as you visit both the Louvre Museum and the Eiffel Tower. Then see the city from a different angle as you take a relaxing cruise down the river Seine. Sit back, relax and see the changing landscapes of France as you travel by TGV fast train to Nice. Take an afternoon walking tour of the old town and discover the capital of the Alpes-Maritimes region in south France which is set on the French Riviera. Make the most of a free day to explore more of Nice, wandering around fabulous markets and soaking up amazing architecture, or take advantage of the optional excursion to St Paul de Vence, one of the oldest medieval towns on the French Riviera. Known for its contemporary art museums and galleries, lose yourself among brick streets that simply ooze French Mediterranean style. Travel across the south of France into Italy with an included stop at the dazzling independent city-state of Monaco. Visit the ever so elegant Monte Carlo Casino and imagine just what it would be like to live like the rich and famous. Travel onwards to Florence and sit down all together for a delicious Italian style dinner at night. 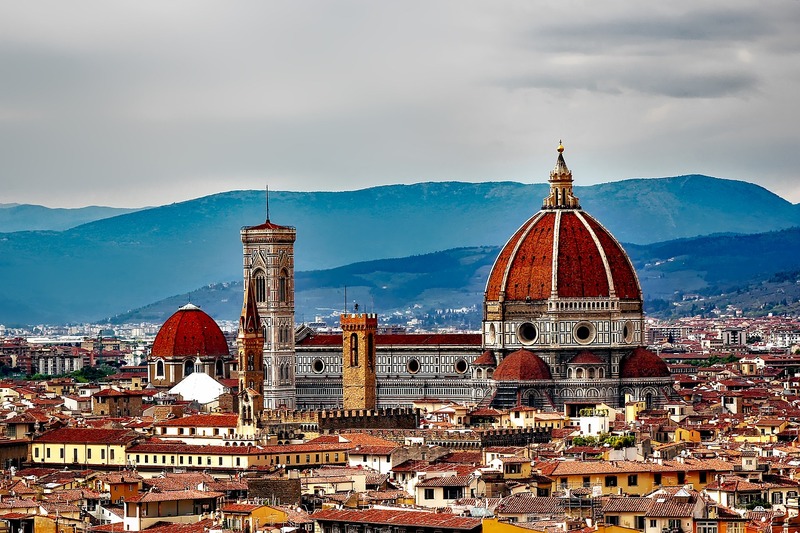 Explore the pretty Tuscan town of Florence on a guided sightseeing tour before enjoying entrance to Bargello Museum which houses masterpieces from Michelangelo and Donatello. Catch your breath in the afternoon and evening with some free time. 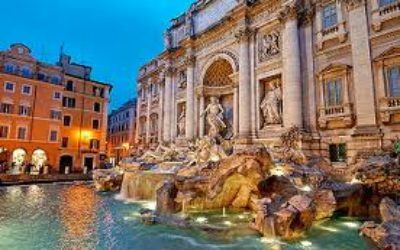 Transfer to Rome and get straight into it with a guided sightseeing tour of two of the key ancient monuments in the city, the Colosseum and the Roman Forum. Then soak up the energy, the buzz and the passion of the city as you wish with some free time. Hit the streets and discover some of Rome’s other unmissable monuments – the Pantheon, Piazza Navona, Fontana di Trevi and the Spanish steps. 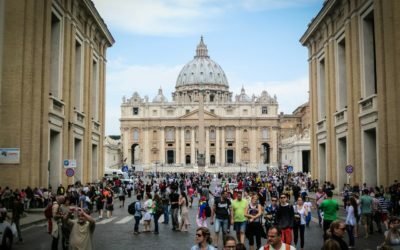 Utilize some free time in the afternoon to do a last bit of shopping or take advantage of an optional guided tour of the Vatican Museum and St Peter’s Basilica. 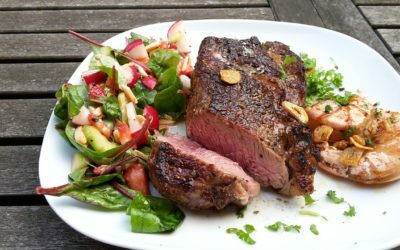 Regroup in the evening for your farewell dinner…. where has been your favorite? Return flight from Rome Fiumicino, Italy to Los Angeles, USA on day 12 of the tour. 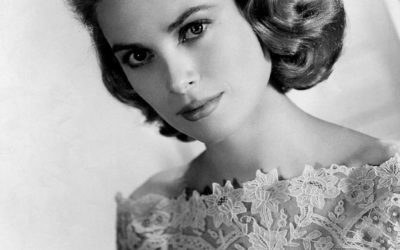 Grace Kelly (1929 – 1982), an American Academy Award actress, became Princess of Monaco after marrying Prince Rainier III in 1956. The wedding was estimated to have been watched by over 30 million viewers and her wedding dress was worked on for six weeks by 36 seamstresses! See more of England with a trip into the Berkshire countryside as you explore Windsor Castle, discover the French medieval town of St Paul de Vence, or learn all about Holy Rome with a tour of the Vatican Museum and St Peter’s Basilica. Simply include the names of the Optional Extras you would like when enrolling online. Sign up online with tour code / tour reference LFI912 and secure your space by paying the $150 registration fee.